SHANTI YOGA™ is a holistic comprehensive system of yoga developed by yoga master Shanti Gowans. Shanti Yoga is integrated yoga made easy. Read more about What is Shanti Yoga. Shanti Yoga Health Institute Australasia offers courses in Yoga Teacher Training, Ayurveda and more. Our Shanti Yoga Centre is our campus for both domestic and international students. At our Shanti Yoga Centre we also offer daily classes in Yoga, Pranayama Breathing, Meditation, Relaxation, Bollywood dancing and more. We also offer community events to provide the community with an opportunity to enjoy the company of like-minded people. We offer a variety of workshops and short courses including yoga short courses, various non-accredited courses and workshops and retreats. See our Events Calendar. We have a 70-acre sanctuary in the Gold Coast hinterlands (the Nirvana Wellness Retreat) where we offer residential retreats. See our Events Calendar for special events and workshops. Contact us to book an Ayurvedic consultation and/or treatment. Visit our Shanti Yoga Centre or online shop for a variety of books, ayurvedic medicines, yoga accessories and more. We are not just a yoga centre. We are your other home. We are an amazing healing place with an incredible healing vibe and an atmosphere of fun, support and peace. We integrate Vedic and Buddhist education, culture, the arts, lifestyle and wellbeing providing the ideal environment for spiritual growth. The centre also conducts a number of cultural and spiritual events and retreats during the year. Our Shanti Yoga Centre, including our yoga studio and campus, is located on the beautiful Gold Coast of Australia, with proximity to shops, beaches, libraries and other facilities. 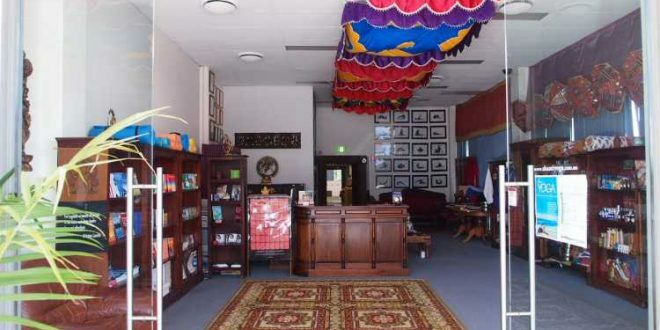 Our Shanti Yoga Centre houses the Health Institute Australasia, an Ayurveda and Yoga School. In addition to various courses, we have developed numerous educational programs in the form of interactive community lectures, workshops, series, and seminars as well as courses to meet the needs of the twenty-first century. Please note, the Shanti Yoga Health Institute Australasia and Health Institute Australasia Pty Ltd are one and the same organisation. Shanti Yoga Health Institute Australasia is a business name owned by Health Institute Australasia Pty Ltd.
We offer the highest yoga qualification you can obtain not only in Australia but in the world. Our courses are listed in more detail on our HIA website www.healthinstitute.edu.au. We offer the highest yoga qualification you can obtain – not only in Australia, but in the world – with our Advanced Yoga Teacher Training course being 1800 hours. Please click on the “Our Team” tab above to see our Team members. Peter Gowans is the student financial director for The Health Institute Australasia. He owns and operates the beautiful Nirvana Wellness Retreat in the hinterland of the Gold Coast. Peter Gowans holds a Diploma in Ayurveda from his studies with Prof. P.H. Kulkarni. Peter Gowans’ interest in Yoga, Ayurveda and everything Indian was inflamed when he met Shantiji in 1972. In 1976 he was initiated by Swami Rudranandaji of the Ramakrishna Mission, and since then has actively dedicated himself to the spiritual path and has opened up pathways for aspirants to travel to sacred placed in India and attend the beautiful Nirvana Wellness Retreat, which he owns and operates in the hinterland of the Gold Coast. Peter Gowans holds a Diploma in Ayurveda from his studies with Prof. P.H. Kulkarni. He is the student financial director for Health Institute Australasia. In his ‘other’ profession, Peter Gowans is the CEO of the highly versatile One World Productions, with wide-ranging interests in the performing and visual arts. Having worked for the ABC (Australian Broadcasting Commission) in Melbourne, where he cut his teeth in television production and filmmaking, Gowans has directed and produced a wide range of documentary films and features, drama, art and culture, religious services, sports coverage, news magazines, and lifestyle programmes. Peter Gowans has a passion for social justice and improving the lives of people through community initiatives. He is an active member of the Rotary Club Broadbeach, working to provide support services for a plethora of charity work including Polio Plus, Scooters, Marine reach for the Pacific, Cope (limbs for mine victims in Laos) and for street and working children on the Gold Coast. Hilary has a background in teaching yoga and ayurveda. 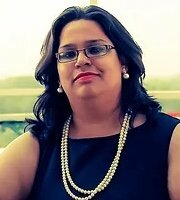 She is currently the Vice Principal of the Health Institute Australasia and its public relations coordinator. Hilary obtained her degree in Graphic Design from Swinburne TAFE, and after a career in graphic design obtained her Graduate Diploma in Education at The University of Melbourne. Hilary enjoyed 11 years of teaching computers and graphic design for the Melbourne School of Art and then went on to be course coordinator and teacher in the Adv Dip of Electronic Design and Interactive Media at Swinburn University, coordinating both Lilydale and Wantirna campuses. After a long love affair which included ongoing studies and practice in Yoga and Ayurveda, Hilary taught yoga for The Meditation Institute, Gold Coast, where she was also design consultant and Public Relations Coordinator. From 2004-09 Hilary was CEO of City Yoga Studio, Sydney, where she was the principal teacher and practised as an Ayurvedic Lifestyle Consultant. Hilary returned to the Gold Coast in 2010 when she completed her Advanced Diploma in Yoga and is currently the Vice Principal of Health Institute Australasia and its public relations coordinator. Hilary visited Indian with Shantiji and is current secretary of AAPA, the Australasian Ayurvedic Practitioners Association. Sonja Stauder is the director of Education and Studies and Culinary Arts at the Health Institute Australasia. She is the current treasurer of AAPA, the Australasia Ayurvedic Practitioner’s Association. Sonja completed her Bachelor of Arts from Monash University, Melbourne with a double major in Japanese and Law in 1982. She took up training as a Fitness leader with the NSW Department of Sport and Recreation in 1985, and has been a student of Shanti Gowans from 1988 which started her intense interest in Yoga and Ayurveda, studying several courses in both. Sonja’s hobbies are Bharat Natyam, Bollywood dancing, cooking and proof-reading Shantiji’s books on Yoga and Ayurveda. She has visited India five times and is the current treasurer of AAPA, the Australasian Ayurvedic Practitioners Association. 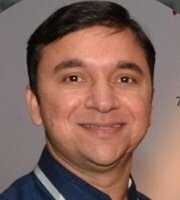 Dr. Manish Patwardhan is an Ayurvedic Physician and Consultant and a postgraduate doctor in Ayurveda, who has undertaken studies in the medical school for 9 years. He has been teaching and consulting for the Health Institute Australasia since 1996. During this time Dr. Patwardhan has worked in management with the development and manufacture of natural and organic Ayurvedic products. He has been joint Director of the Institute of Medicine, a faculty member of Ayurveda Academy, Pune, India, and is currently the CEO of Spa Consultants, the largest Spa Consultancy in the Indian subcontinent with a high profile in the training of Ayurvedic spa therapies. He is the President of Indian Spa and Wellness Association (ISWA) and the ‘Association Liaison’ of the Asia Pacific Spa and Wellness Coalition (APSWC). A keen observer, good analyser, precise planner and an excellent executor and teacher, Dr. Patwardhan has brought Health Institute Australasia’s program in Ayurveda to newer heights. He is the brainchild behind HIA’s Diploma of Leadership and Management, specialisation Spa. Japanese-born Chlyoe Murata (Coco) has a Bachelor’s degree in Management from the Aoyama Gakuin University in Japan. Coco trained in Japan in Thai Traditional Massage and Chinese Reflexology. Coco studied Ayurveda in India. In Australia, Coco has Massage Therapy, Aromatherapy and Remedial Massage before joining HIA as a student for Cert IV in Ayurvedic Lifestyle Consultation. Born in Saitama, Japan, Chlyoe Murata (Coco) accomplished her Bachelor’s degree in Management from the Aoyama Gakuin University in Japan, in 2006, after which she worked as a Medical Representative in Japan till 2010. Passionate about health and wellbeing, Coco embarked upon her studies as a therapist in Japan from 2010, where she trained in Thai Traditional Massage and Chinese Reflexology. 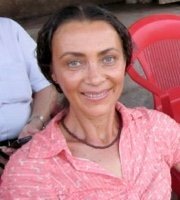 Coco next took herself off to India, where she studied Ayurveda at both the basic and advanced therapist certificate courses. 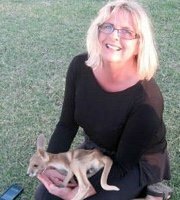 Coco then came to Australia and studied Cert IV in Massage Therapy, Cert IV in Aromatherapy and the Diploma of Remedial Massage before joining the Shanti Yoga Health Institute Australasia as a student for Cert IV in Ayurvedic Lifestyle Consultation. 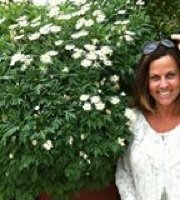 Coco uses a holistic approach of body, mind and spirit in her treatments and believes that massage offers a range of benefits beyond simply relaxation healing. We welcome Coco on board. Born in Egypt, Dalal grew up in UAE until she graduated from high school. 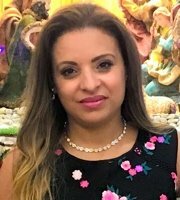 Dalal studied pharmaceutical science for 5 years in Egypt (Assiut University), where she graduated in 2004. After working as a Pharmacist in the UAE for 8 years, Dalal came to Australia with her family (her husband and 2 kids), and she has been working at the Shanti Yoga Centre since February 2016. Dalal then came to Australia with her family (her husband and 2 kids), and she has been working at the Shanti Yoga Centre since February 2016. Jo-Anne Knight, LLB., BA, Dip Yoga. 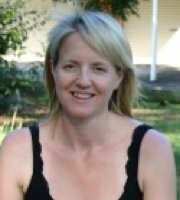 Jo-Anne is currently studying for her Advanced Diploma in Yoga with the Health Institute Australasia, and teaches Shanti Yoga™ and classical Hatha Yoga classes for adults, and a fun and creative Shanti Yoga™ class for children. 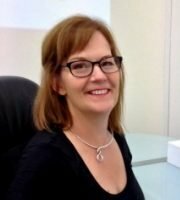 Jo is the voluntary secretary of the Management Committee at the Domestic Violence Centre on the Gold Coast, for ending violence against women and children. 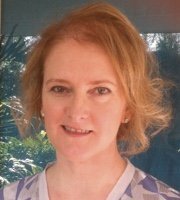 Prior to committing to the Yoga path, Jo studied Law and Modern Asian Studies at Griffith University (Queensland), 1995-1999 and practised as a solicitor in Brisbane from 2001-2003. Jo harnesses her qualifications, interest and expertise in the area of human rights as the voluntary secretary of the Management Committee at the Domestic Violence Centre on the Gold Coast, for ending violence against women and children. Jo is also a mother of three young children. Nicole came upon Shanti Yoga™ and has undertaken extensive training with the Meditation Institute and later Health Institute Australasia, qualifying with an Advanced Diploma in Yoga Teaching and Leadership in 2010. En route to her Adv Dip, Nicole has undertaken training and study in several other Yoga and health qualifications, including Children’s Yoga Instructor training, Ayurvedic Lifestyle Consultant and Traditional Ayurvedic Relaxation Massage training. Nicole Ugarte, is a Director of Naturelink Landscapes and Design a family owned and operated, landscape construction company and plant nursery based in Nerang on the Gold Coast. Nicole went to primary school at Our Lady of the Sacred Heart in Kensington (Sydney) and then the Star of the Sea, here in Southport, where she obtained her Senior Certificate, and then went on to be a registered nurse. 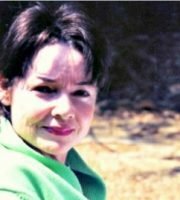 After a career in nursing, spanning from 1984 to 1997, Nicole took a sabbatical to enjoy her family and three children and search for the meaning of life. She came upon Shanti Yoga™ and has undertaken extensive training with the Meditation Institute and later Health Institute Australasia, qualifying with an Advanced Diploma in Yoga Teaching and Leadership in 2010. En route to her Adv Dip, Nicole has undertaken training and study in several other Yoga and health qualifications, including Children’s Yoga Instructor training, Ayurvedic Lifestyle Consultant and Traditional Ayurvedic Relaxation Massage training. Nicole is a wife, mother of three gorgeous children, loves to travel (she has been to India with Shantiji on three occasions) and teaches yoga at the Shanti Yoga Centre in Southport. Lyn had the privilege of studying under Yoga master Shanti Gowans at the Meditation Institute/ Health Institute of Australia from 2000-2006, attaining a Certificate IV in Yoga Education and Diploma of Yoga Teaching. Lyn has taught Yoga for the Meditation Institute at centres in Southport, Merrimac, and Harbour Town. 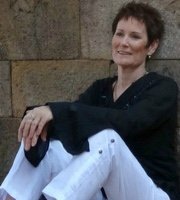 Lyn discovered Shanti Yoga™ on the Gold Coast in 1998 and has been a student ever since. Lyn had the privilege of studying under Yoga master Shanti Gowans at the Meditation Institute/ Health Institute of Australia from 2000-2006. Attaining a Diploma of Yoga Teaching, and Certificate IV in Yoga Education. 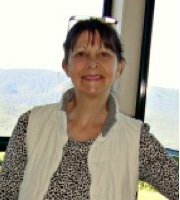 Beyond Yoga Lyn has a Diploma of Library and Information Studies, Certificate IV in Assessment and Workplace Training and a full-time job as Manager, Customer Services at the Bond University Library. Lyn is deeply grateful to find Shanti Yoga™ and the Shanti Yoga Health Institute Australasia. Roxanne’s Yoga journey started many moons ago, whilst in the kindergarten yoga class, she loved being able to touch her head with her toes in Cobra. After completing high school in 1994, she studied Travel certificate at TAFE whilst working in hospitality. In 1997 travelled to England via South Africa, where she met her husband (married 16 years). Overseas she worked as a private nanny, a career that continued on her return home in 2000. In 2004 Roxanne become a mother for the first time and in 2005 had a second child. The next ten years was dedicated to a home-school lifestyle, which has now transitioned into a beautiful school environment which encompasses many of the values she has built over the years. Lynanne’s yoga journey was inspired by the authenticity, compassion and guidance of Shantiji and the teachers at the Shanti Yoga Centre. She has studied Cert. IV in Yoga, followed by the Diploma in Yoga Teaching. The traditional living principles and teachings of yoga resonate with her; in particular the principles of compassion for all living things, non-violence, and truthfulness which have been embraced as an integral part of her life. Lynanne’s yoga journey was inspired by the authenticity, compassion and guidance of Shantiji and the teachers at the Shanti Yoga Centre. She has studied Certificate IV in Yoga, followed by the Diploma in Yoga Teaching. The traditional living principles and teachings of yoga resonate with her; in particular the principles of compassion for all living things, non-violence, and truthfulness which have been embraced as an integral part of her life. Christine currently teaches mandala construction and creative arts at The Health Institute and Nirvana Wellness Retreat (2011-current). Christine is passionate and enthusiastic about what she teaches which is conveyed through the wonderful art work that her students create. Even total beginners feel a sense of achievement with Christine’s encouragement. Born in the U.K., Christine Starmer’s life has revolved around creative art, theatre and dance. 1n 1983 Christine graduated with a 3 year Higher Art Certificate from Woollongong College of Fine Art, where she studied painting, life drawing, photography, printmaking, sculpture and art history. Since then Christine has travelled to London and Paris in pursuit of inspiration from the world’s finest artists and has had group and solo exhibitions in several art galleries, including being a yearly exhibitor in the Jupiter’s Art Prize and the Gold Coast City Council and Art Gallery. Her most recent solo exhibition was in 2013 at Welch Street Art Gallery, Gold Coast. Christine has also been engaged in the construction of stage sets, costume design and masks, for performances and eisteddfod, Expo 88 Brisbane, Labrador Primary School (1997-2001), Silkwood Steiner School (2001-2005), and murals at Southport High School and Benowa High School (2005), with ongoing domestic commissions for murals. 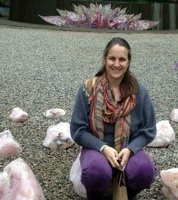 Christine currently teaches mandala construction and creative arts at The Health Institute and Nirvana Wellness Retreat (2011-current). Christine is passionate and enthusiastic about what she teaches which is conveyed through the wonderful artwork that her students create. Even total beginners feel a sense of achievement with Christine’s encouragement. Dr. Shilpi Bose Roy BAMS is an experienced, trusted, patient-focused doctor with a long history of serving patients by successfully diagnosing and treating them with Ayurvedic medicines, procedures, lifestyle and dietary changes and exercises, suggesting and conducting panchkarma (various massages, sudation and enema) therapies as required on the basis of their diagnosis, with good knowledge of Allopathic medicines as well. Her previous experience was in helping with general surgeries, deft in the day-to-day management of ICU (Intensive Care Unit), Gynecology and Obstetrics and is an expert in maintaining the daily report/records of patients. Dr. Daspute qualified with his Bachelor of Ayurvedic Medicine and Surgery in Dec 2005, and was honoured as a Fellow of the Indian Institute of Medicine in February 2011. He completed an MBA course in 2012, and is registered with state council of Indian Medicine. Dr. Daspute works closely with Dr. Manish Patwardhan and is Director of Pre-Opening, Training and Quality at Spa Consultants, India. OUR ADVISORY BOARD provides the objective advice found to be most successful for creating effective policies, choosing best practices, setting expectations with respect to time, responsibilities, outcomes, organisation, communication, information and opening hearts and doors. 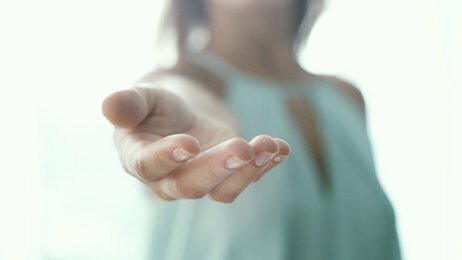 Shanti Yoga™ teachers, administrators, strategic planners, directors of education and curriculum and our CEO regularly liaise with the people on our advisory board to look at implementing change in the existing Teacher Training courses. Our Shanti Yoga Centre maintains an uplifted and supportive healing environment that fosters a community of health practitioners, teachers, students, interns and volunteers that helps you co-create and contribute to an enlightened world. Practices from current Western thinking. Helps create a more meaningful life. Please click on the “Our Values” tab above. Responsible participation in professional and social life. Respect for others and their rights with dignity. Understanding and respecting the importance of the environment and the world in which we live. Commitment to being sincere and open in our dealings. Commitment to strive relentlessly to constantly improve our team. Shanti Gowans developed the comprehensive system of yoga called Shanti Yoga™ when she first moved from India to Australia in 1972. In 1995, Shanti Gowans registered the educational faculty ’The Meditation Institute’ which later on in 2003 became a Registered Training Organisation offering accredited courses in Ayurveda and Yoga. In 2010 Shanti and the team decided to change the name of the training organisation to Health Institute Australia, now Health Institute Australasia broadening the scope of study options for students. Developing Ayurvedic and Yoga Practitioners that comply with the rules, regulations and standards of the countries in which we operate has been a strong focus for the Health Institute Australasia. However, we have always known that just herbs and medicines or yoga postures are not enough for natural wellbeing. 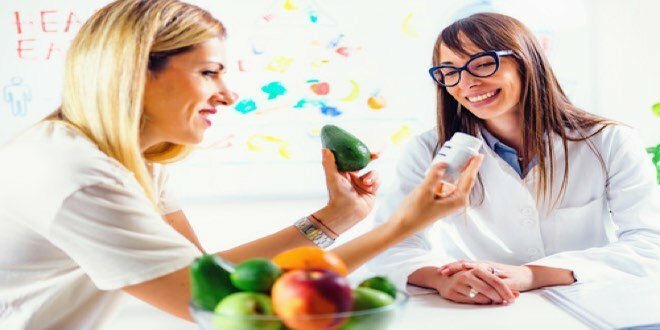 This is why we are fully dedicated to bringing about Health and Wellness Training programs for both individuals for personal health and professionals. The purpose of education is to culture a person’s mind so that they can accomplish all their aims in life. My deepest wish is to you attain inner happiness with ease. May the path of pursuing your purpose (dharma) be smooth for you. May you prevail with an unperturbed heart. We look forward to having you on board at the Shanti Yoga Centre.